The Lord of the Rings is a film series consisting of three high fantasy adventure films directed by Peter Jackson. 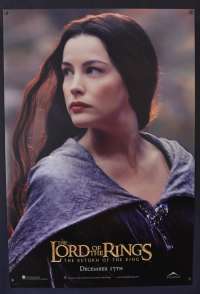 They are based on the novel The Lord of the Rings by J. R. R. Tolkien. 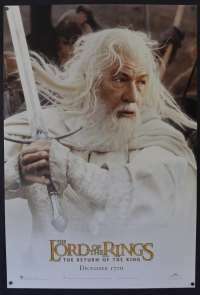 The 3 films are The Fellowship of the Ring (2001), The Two Towers (2002) and The Return of the King (2003). 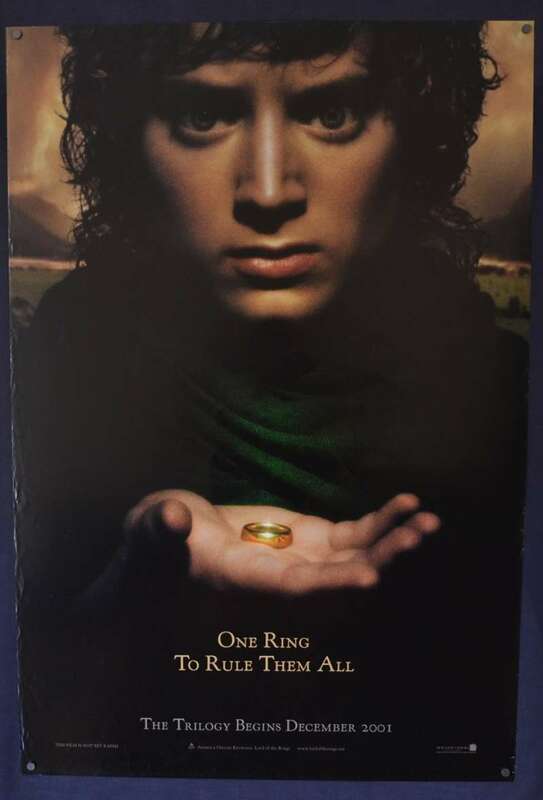 Set in the fictional world of Middle-earth, the films follow the hobbit Frodo Baggins (Elijah Wood) as he and a Fellowship embark on a quest to destroy the One Ring, and thus ensure the destruction of its maker, the Dark Lord Sauron (Sala Baker). 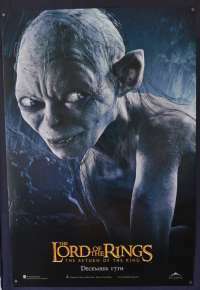 The Fellowship becomes divided and Frodo continues the quest together with his loyal companion Sam (Sean Astin) and the treacherous Gollum (Andy Serkis). 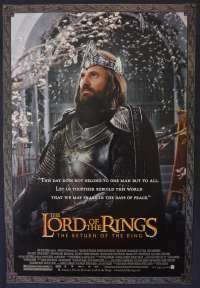 Meanwhile, Aragorn (Viggo Mortensen), heir in exile to the throne of Gondor, and the wizard Gandalf (Ian McKellen) unite and rally the Free Peoples of Middle-earth in the War of the Ring. Poster Size: 100cm x 70cm / 27" x 40"